Stylish ballpoint pen, 112mm in length, with fine quality silver plated finish and featuring a short chain with a silver heart on the end. These silver pens are supplied complete with a presentation case. 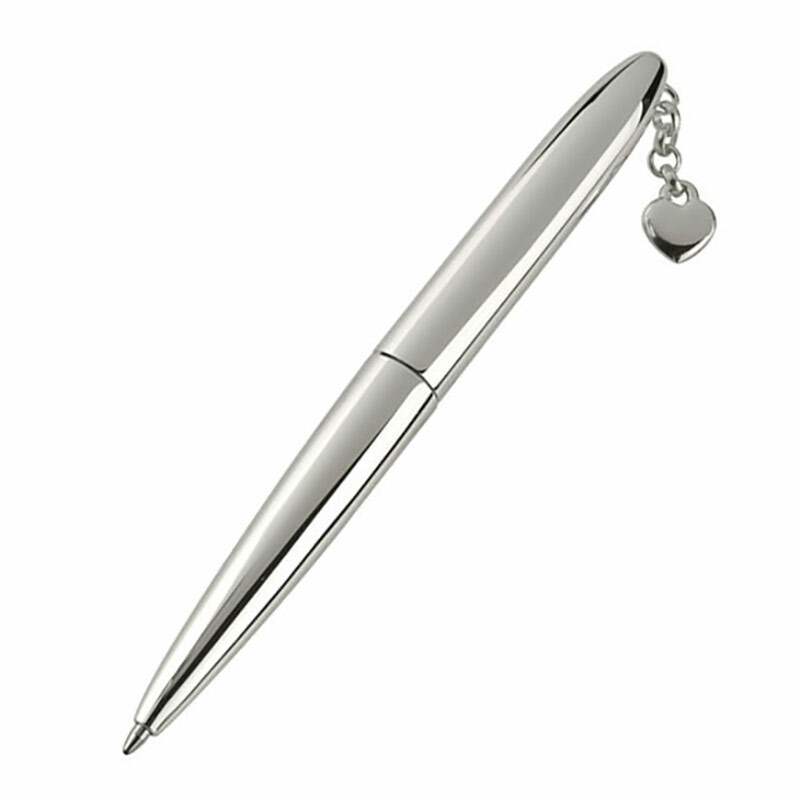 They can be customised by engraving - for free - on either the body of the pen or on the case.